Whether you are looking to combat the snow-filled winters or are looking for superior traction while traversing the interstates throughout Chicagoland, situating yourself in one of the many Certified Pre-Owned Acura AWD cars in the area will fulfill your desires. 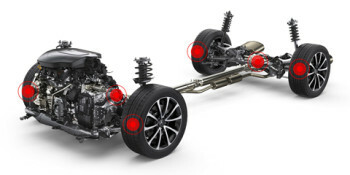 Acura’s Super Handling All-Wheel Drive (SH-AWD) performs so well that Autotrader.com dubbed it as one of the “most well-engineered systems on the market.” For drivers that don’t desire the offerings of an Acura SUV with SH-AWD, one of their luxury-minded sedans will provide a full spectrum of features– from comfort and entertainment to performance and safety. Take in Chicago with elegance from behind the wheel of a Certified Pre-Owned Acura AWD car from a Chicagoland Acura Dealer. 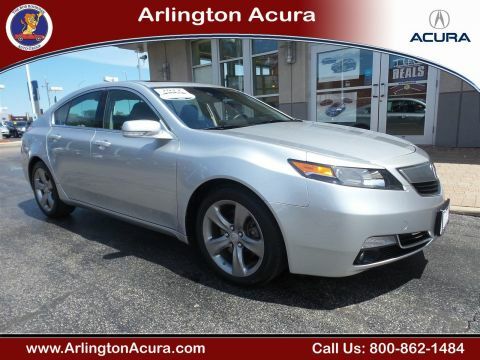 Why Should You Consider A Certified Pre-Owned Acura? Chicagoland Acura Dealers have a hearty selection of healthy Certified Pre-Owned Acura AWD cars waiting for you to test-drive them today! Stop by one of our showrooms or contact us to schedule an appointment or gain insight on any questions you may have! Certified. 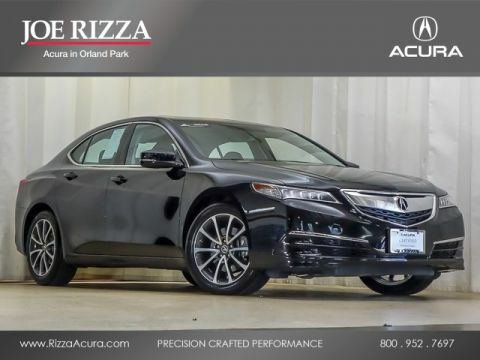 2016 Acura TLX Crystal Black Pearl 3.5L V6 SH-AWD w/Technology Package AWD 9-Speed Automatic 3.5L V6 SOHC VTEC 24V Recent Arrival! 21/31 City/Highway MPG Awards: * ALG Residual Value Awards * 2016 KBB.com 10 Best Luxury Cars Under $35,000 * 2016 KBB.com 5-Year Cost to Own Awards 2016 Kelley Blue Book Brand Image Awards are based on the Brand Watch(tm) study from Kelley Blue Book Market Intelligence. Award calculated among non-luxury shoppers. For more information, visit www.kbb.com. Kelley Blue Book is a registered trademark of Kelley Blue Book Co., Inc. All of our vehicles are researched and priced regularly using LIVE MARKET PRICING TECHNOLOGY to ensure that you always receive the best overall market value. Contact Alyssa or Jeremy in our internet department at (708)364-2321 to set up your test drive today! Reviews: * Cabin does a good job of filtering out unwanted noise; rear seat offers more legroom than many competitors; loads of features for the money. Source: Edmunds Serving all of Chicago, Orland Park, Tinley Park, Frankfort, New Lenox, Mokena, Manhattan, Homer Glen, Lockport, Lemont Oak Lawn, Palos Heights, Palos Hills, Oak Brook, Naperville, Hinsdale, Lombard, Lisle, Bolingbrook, Joliet and Oak Park, Chicago land & Chesterton, Crown Point, DeMotte, Dyer, East Chicago, Griffith, Highland, Hammond, Hebron, Hobart, Kentland, Lake Station, La Porte, Merrillville, Michigan City, Munster, Portage, Rensselaer, Schererville, St. John, Cedar Lake, Valparaiso, and Winfield,Gary, Northwest Indiana.